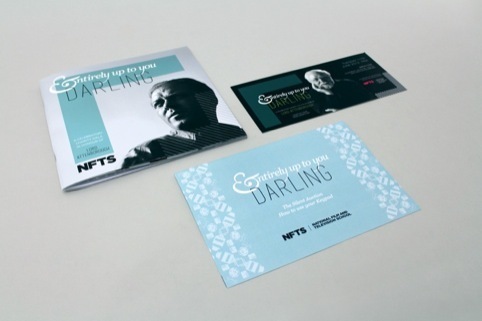 Sherry Design has created this year’s branding and event collateral for the National Film and Television Schools annual Gala, which this year is in the honour of Lord Richard Attenborough. The consultancy was approached in March and asked to create a themed look and feel that is ‘smart and respectful’ and which celebrates the career of Lord Attenborough. Sherry Design senior designer Ellie Thompson says, ‘Lord Attenborough is famed for his “infectious warmth”, passionate belief in justice and alleviating poverty, as well as for his pioneering work in the film industry. The NFTS wanted to make sure this was captured in the creative’. The design ‘visually frames’ Lord Attenborough’s career through a viewfinder device, which ‘on one side is solid, to represent Attenborough’s career in front of the lens as an actor – a tangible presence – and the other side is made up of keylines to represent his role as a director and producer,’ says Thompson. 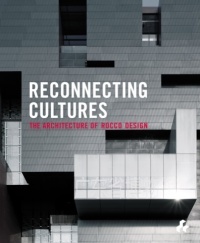 In a bid to evoke the length of his 70-year career the design comprises a traditional feel with contemporary elements. Thompson says, ‘This is apparent in the logotype, which combines a traditional script font offset with a beautiful and clean, modern typeface. An illustrated wallpaper is made up of graphic elements representing his career including Ghandi’s glasses, Chaplin’s walking stick and a director’s chair. 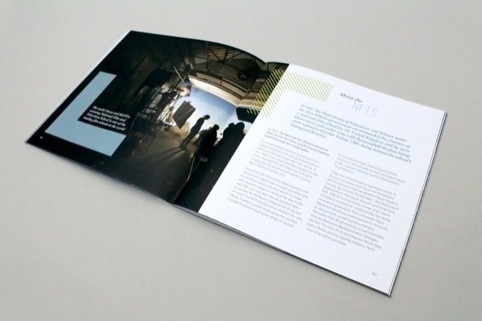 A 60-page tribute book, tickets, postcards and large format venue graphics have been created for the project.